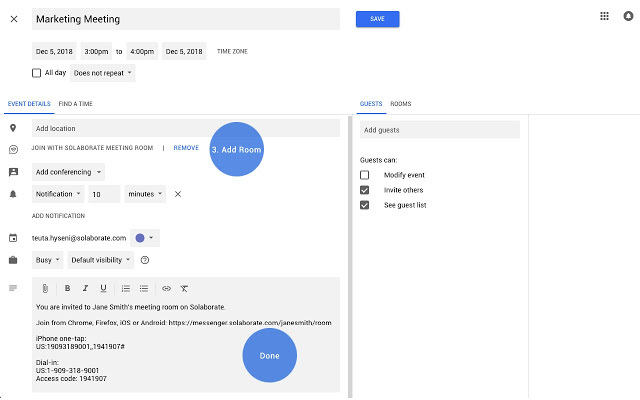 We are thrilled to announce that we have launched Solaborate Scheduler extension which will enable you to schedule all your HELLO Solaborate meetings through your Google or Outlook calendar. This free extension allows you to reach your own Solaborate virtual call room quickly and make meetings as productive as possible. How to use Solaborate Scheduler Add-in for Outlook? 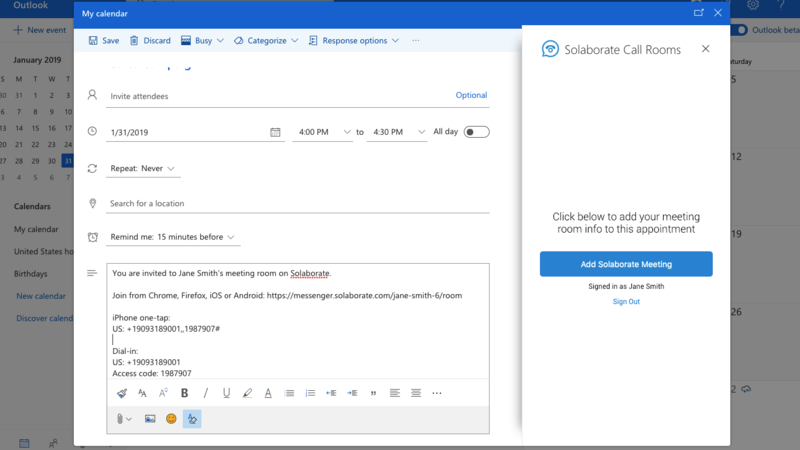 Solaborate Scheduler add-in for Outlook is a simple way for you to add your HELLO Solaborate meeting info to your calendar events. In order to enter your meeting room info, you will need to register on Solaborate and log in with your account on this add-in. Once you log in, click “Add Solaborate Meeting” to add the event information. 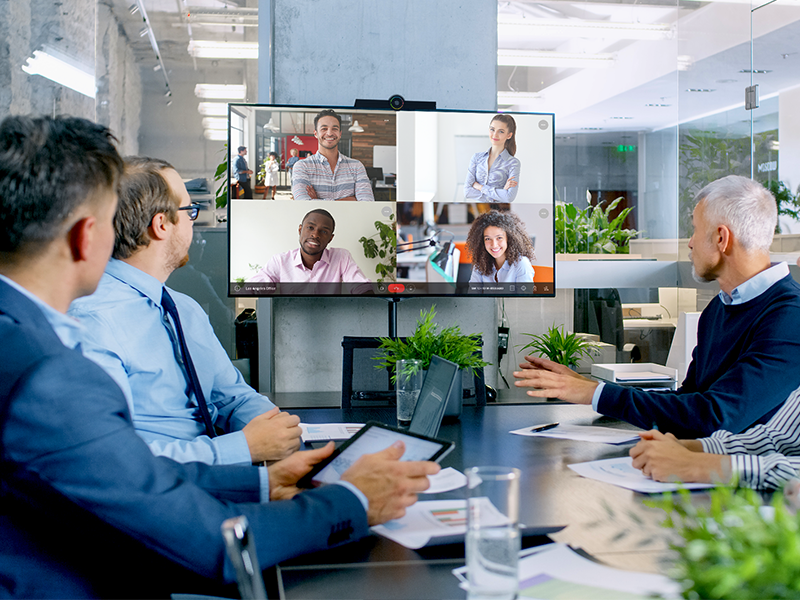 To invite other people into your meeting, you can just share your meeting URL with them, and they will be able to join your meeting from any device. They don’t necessarily need to have a Solaborate account in order to join the meeting, which makes it possible for you to invite anyone you want. Ready to schedule HELLO Solaborate meetings right through your Outlook calendar? Click here to download Solaborate Scheduler Outlook add-in. How to use Solaborate Scheduler Add-in for Google? 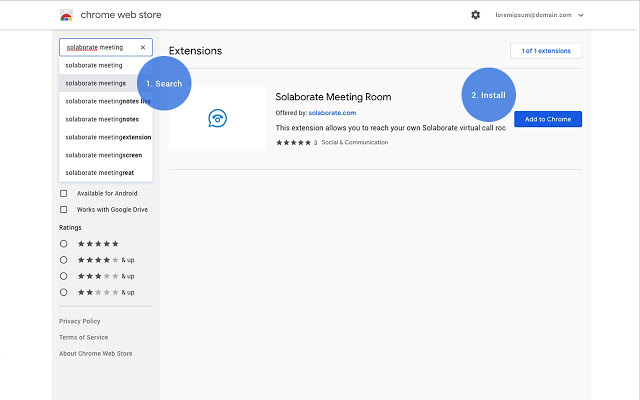 Search for Solaborate Meeting Room Extension on Chrome web store and once you find it, click on “Add to Chrome” button to install it. After you do that, go to your Google Calendar, add room and all the info of the event you want to invite people into and then click “Save”. You can invite people into your video meeting room via email and they will be able to join instantly. Just like with Outlook, the people you invite into your meeting room, do not need to have a Solaborate account in order to join. Go here to Install this extension on Chrome. Feel free to contact us on our live support chat if you encounter any issues. We will be happy to help you through every step of the way.